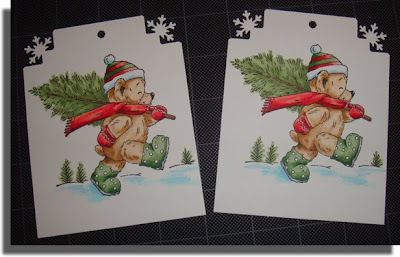 A couple of tags I made for some co-workers gifts... my new stamp was created with Memento Tuxedo Black ink and of course, Copics to color it in. 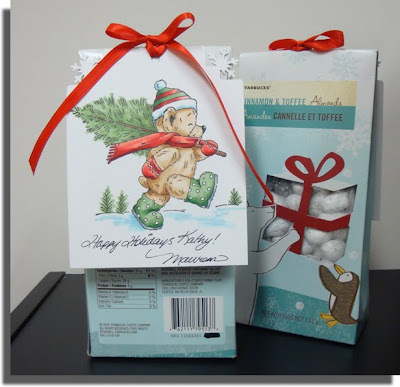 Martha Stewart's Aspen Snowflake punch was used on the two top corners. A bit of red ribbon and these were done! I love this adorable bear! This year I used new techniques thanks to recent purchases: One, I used my new Cuttlebug to emboss and die cut the front of the card, as well as die-cutting the red Bazzil mat. I love it! 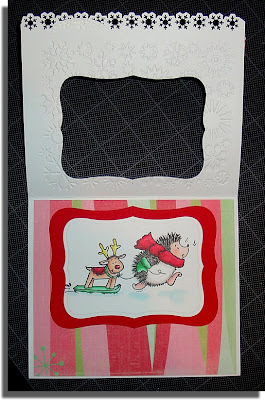 The snowflake embossing folder was wonderful and so easy to use. 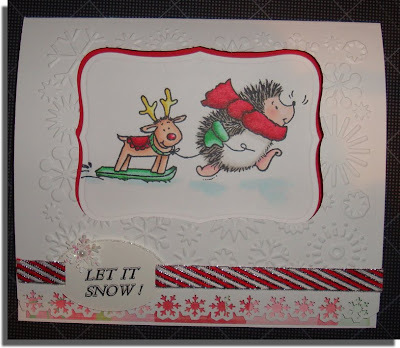 I also used my new Martha Stewart border punch Aspen Snowflake for the front of the card, and used the larger matching snowflake punch to make the embellishment on the "Let It Snow" tag. 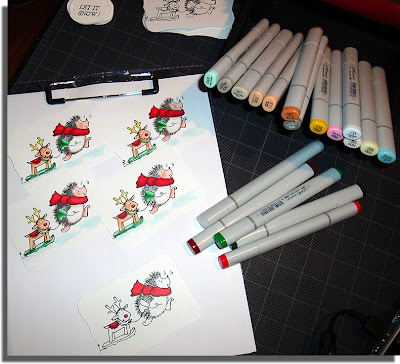 Of course, I used Copics to colour in all 30 stamped images (Penny Black stamp). 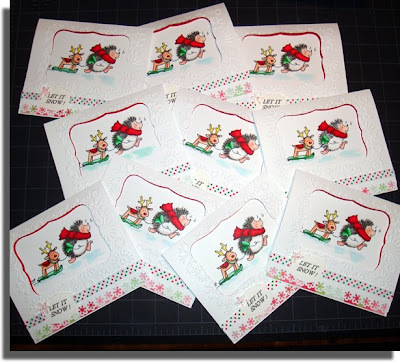 Stickles on the tag, ribbon slipped through and glued down, and with a bit of patterned paper (Peppermint Twist by K and Company) and these were done! 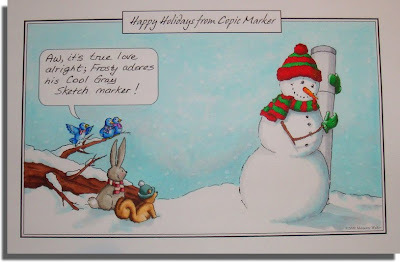 Marianne Walker over at I Like Markers kindly offered her readers a very cute Holiday drawing for anyone to download and colour in with their Copics. 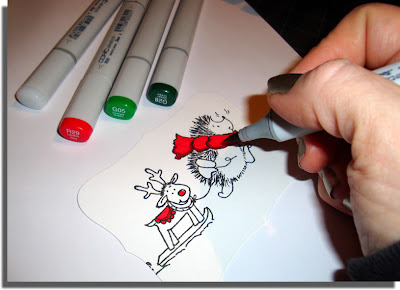 If you want to learn all about using Copics, I would highly recommend Marianne's site; she has years of tutorials from beginners to advanced users!